New book is almost ready!! I hope that everyone is ready because the editing process is almost done. I'm getting with one of my editor's tomorrow to hammer out the last edits of Engineering Murder. Such fun! I really enjoyed writing this one. It should go up on Amazon THIS WEDNESDAY NIGHT! So by Thursday morning It will be ready to read! I hope you enjoy it. Just so you know i started writing Book 3 this afternoon. New Snippet! Book 2 -Enginnering Murder is set to drop next weekend! 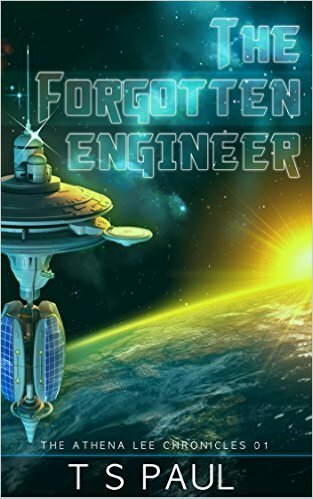 I just finished the main part of Book 2 Engineering Murder! Now comes the editing for content and proofreading. I hope to have it out and live by next weekend. Stay tuned! Working with my Cover designer there is a name for the new book. 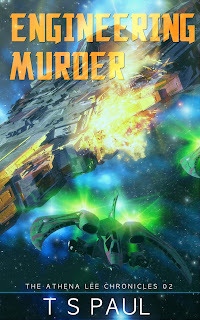 It will be called Engineering Murder and here is the new cover! Here's an update on Book 2. Books should be out by the second week of March, I hope. Ensign Athena Lee was on her first engineering assignment. She was helping to build a secret space station. There was a war on and this new station was vital. When the engineering fleet was attacked and destroyed she was left lost and alone. When life gives you lemons, make lemonade. She was going to have to Engineer her way home.